Sohrab relaxing in the Balkasar Sanctuary. Photo ©WSPA and the Bioresource Research Centre. 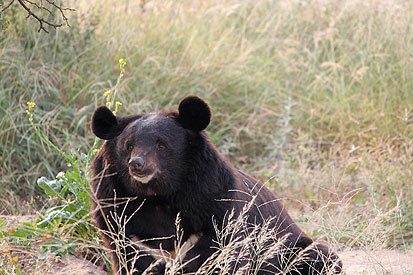 Because of the extreme cruelty involved, one of the first projects the Foundation will be assisting with, is the cost of building a second sanctuary in the Balkasar region of Pakistan for bears rescued from bear baiting events. Deeply traumatised after a life filled with suffering, these bears can’t be returned to the wild. The sanctuary will have spacious enclosures, holding pens, pools, artificial dens and a veterinary treatment area. Bears who have suffered years of trauma, poor nutrition and neglect, will at last find a safe haven to live out the rest of their lives. The need for a second sanctuary is now even more urgent after the first was devastated by the recent floods. Much great work is already being done by larger organisations to help bring an end to the barbaric practice of bear farming. The Foundation will contribute to the running and maintenance costs of sanctuaries in China and Vietnam for bears freed from bear farms. These exciting facilities give the bears everything they were denied on the farms. The bears live in a rich, lush environment with cooling pools and fresh food and receive the veterinary treatment they so desperately need after being caged and milked for their bile. These sanctuaries offer the bears a world they once knew and loved, one they thought they would never see again. 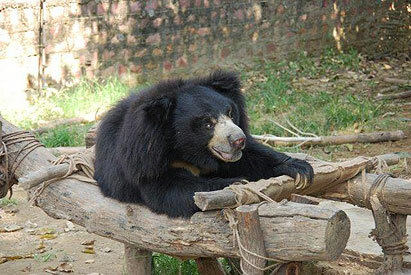 We will also help in whatever way we can to support the campaign to end bear farming once and for all. 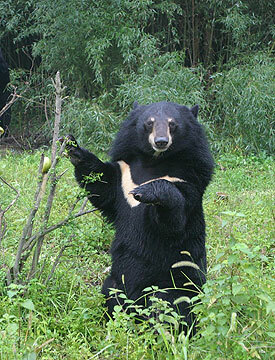 A number of sanctuaries exist around the world for bears rescued from a life as dancing bears as the practice is steadily being eradicated. Again, the Foundation would like to assist with funding to continue to run and maintain these sanctuaries caring for ex dancing bears for the rest of their lives. In particular, we would like to help care for the blind bears that have been rescued as they are particularly frightened and unsure and need special care. It takes them extra time to adjust to their new surroundings and learn to trust the people caring for them. The Foundation will be helping projects in Agra and Bannerghatta, India where blind bears are cared for in special, small enclosures where they can feel safe and secure. There are often high costs for extensive dental surgery required for many of these bears, to relieve the pain they suffer from having their teeth knocked out. Sadly, while hunting still exists, there are going to be orphaned cubs. Where possible, it is the right thing to do to rescue these orphans, rehabilitate them and return them to the wild to live a natural life. There are some excellent rehab programs in existence that the Foundation would like to support. 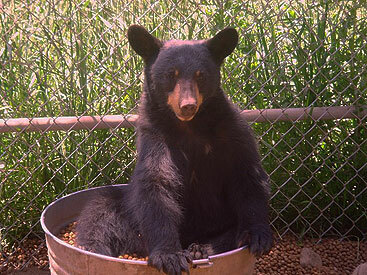 We would like to assist with funding this work and also efforts to educate the public about bear rehab and our shared responsibility to protect wild bears and their habitat. We are also keen to help support ‘Bear Aware’ projects to help reduce bear/human conflict and educational programs designed to prevent and reduce conflicts between people and bears.